Demonman can’t remember much from his past. All he knows is that he was one of Stan’s minions in hell. They had an argument and Demonman fought Stan’s right-hand-man Professor Brimstone. Demonman won and left hell. 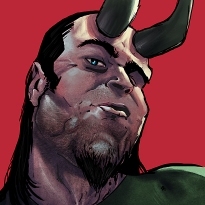 According to Stan it is impossible for Stan or any of his “demons” to leave hell and live on Earth in their demon form. This is why Stan always appears in human form. Somehow Demonman was able to overcome this obstacle and live on Earth in his demon form. Demonman doesn’t know how this happened and Stan won’t tell him. Demonman has lost nearly all memories of hell. All he remembers is that for some reason he left hell so that he could live a normal life on Earth. The “living a normal life” goal didn’t last long however. 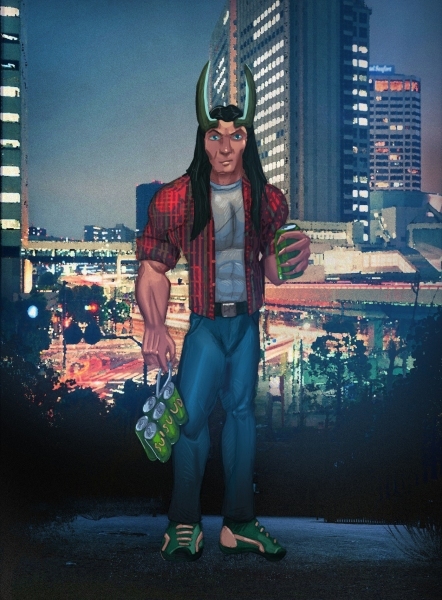 Soon after arriving on Earth, in New Edmonton City, Demonman ran into Deathhammer who convinced him to become a superhero with him. 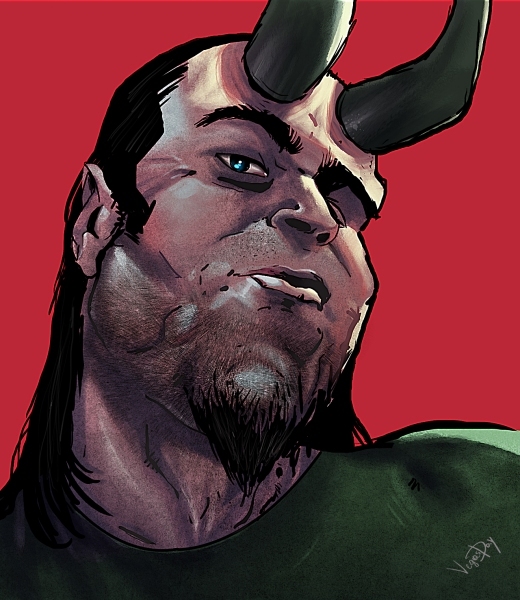 Demonman retained most of his hell powers. 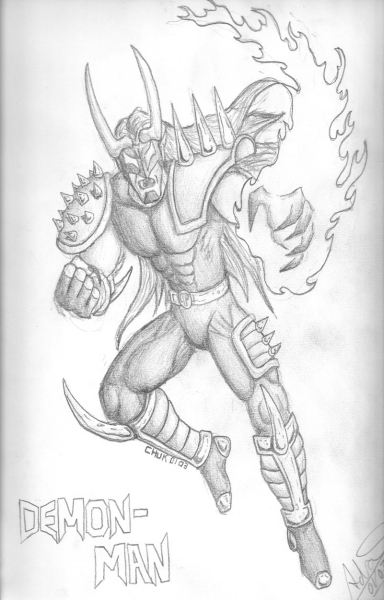 He was able to manipulate elements, shoot fire out of his hands, fire energy blasts and many other cool things. This made him extremely powerful. Demonman and Deathhammer formed the superhero team “The Misfits” along with Grindcore and Powerage. For about six months they achieved great things and were on the fast track to becoming one of the biggest superhero teams around. But then Demonman had a change of heart. He decided he didn’t like being a superhero and he did indeed just want to live a normal life. He quit the Misfits and began pursuing his dream of falling in love and getting a good job. Stan continues to harass Demonman and frequently takes Demonman’s powers away then returns them whenever he pleases in order to cause Demonman misery. Stan is always trying to get Demonman to return to hell.